Polyvore has changed the way people dressed a few years ago and keeps growing into other segments, such as home decor. The company has raised $22 million in total funding since its foundation in 2008. Then the Fantasy Shopper launched out of Exteter, UK, raised $3,3 million from Accel and other funds and now seems to have quietly disappeared (the website and social media are not to be found). In Russia, the company that leverages community in creating and promoting fashionable looks is Looksima, which also has an active English version. The company went beyond the gamification as a form of rewarding its users for creating outfits (looks) and has just announced that the self-appointed stylists can get commission on the outfits that are actually being sold through the platform. Aside from that the users can gain higher ranking within the Looksima community all the way up to a “professional stylist” level. They can achieve that by offering styling advice, composing looks and being active on the platform. The founders of Looksima Alex and Nadia Bochkarev (original founders of Russian online fashion store LaModa – $143M funding to date) believe that the company addresses the two major problems: what to wear and where to buy it. Looksima has so far raised $500,000 in seed funding, reports 100,000 registered users and 150 professional stylists. The company works with over 50 online fashion stores. Users make on average 36 repeat purchases. 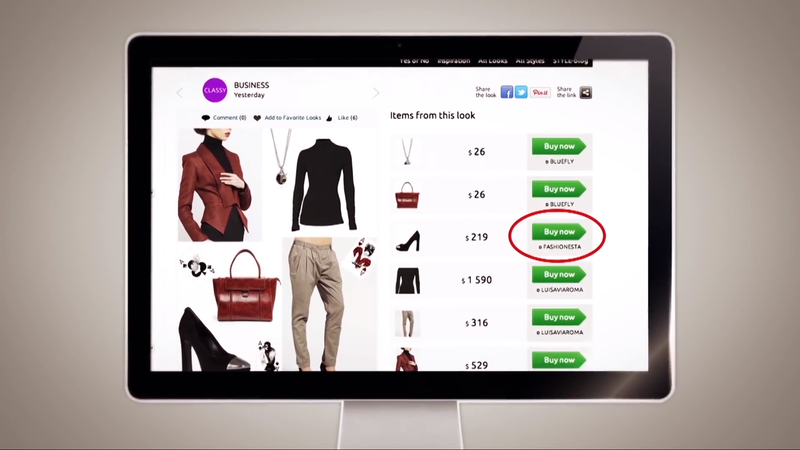 Let’s see if the new reward system will make Looksima a powerful competitor to Polyvore.